From the paranoid, conspiracy nut to the woman afraid of being stalked to the employee who doesn’t want to be tracked by their boss, the use of devices called GPS jammers is on the rise. They’re easy to acquire online. You can even find them on sites like eBay. Many people who use them probably assume they’re legal and don’t bother to investigate the laws around them. But as an employer how do you combat employees who use GPS jammers, and how do you detect them? What is a GPS Jammer? So what is a GPS jammer exactly and how do they work. A GPS jammer is a device that uses radio frequencies to transmit a signal that blocks, jams, or interferes with GPS systems. These devices disrupt all aspects of GPS including navigation and tracking. The devices are usually small, and most of them are simple to install. A user simply has to plug them into the lighter or car charger port (do cars still even have a lighter port? ), and make sure the device is close to the GPS tracker so it can interfere with the signal. It takes less than half a minute to power up, making them attractive to criminals and employees since you can just plug them in as needed and remove them the rest of the time. GPS jammers are easy to find. Do a search in Google for GPS jammers, and you can find numerous websites where you can purchase them including an e-commerce site called Jammer Store. So are the devices legal? The answer is: absolutely not! The devices are illegal according to Federal Law and carry heavy fines if you’re caught. Not only are they illegal to own and use, but they’re also illegal to market and sell. If you’re caught violating the law, you face thousands of dollars in fines as well as imprisonment. What are the consequences for GPS jamming? Not everyone who uses a GPS jammer is using them to hide other illegal activity. Some businesses use cell phone jammers to create a quiet zone, for example, a movie theater who wants to curtail cell phone usage. But the reason jammers, including GPS jammers, are illegal has to do with safety. GPS and cell phone jammers can interfere with emergency services like 9-1-1, ambulances, firefighters, and police. Furthermore, GPS jamming devices have interfered with airplane navigation. For example, in 2015, planes landing at Northeast Philadelphia Airport were losing their GPS signal from 1 mile away from the airport. The FCC discovered that a truck driver in a parking lot was using a jammer to disable a tracking device on his truck that he didn’t know was illegal. The FCC agent immediately confiscated the device and destroyed it with a sledgehammer. Luckily for the trucker, the FCC didn’t fine him for using the device, because others haven’t gotten off so easily. Do drivers want to know how to jam GPS? In another aviation incidence in Newark, the Federal Aviation Administration filed a complaint with the FCC that something was interfering with the signals from the GPS tracking system at the Newark Liberty International Airport. An FCC investigation discovered that a man named Gary Bojczak was using a GPS jamming device to hide from his employer. The FCC fined the man $31,875. From the above incidents, it’s evident that some drivers are using GPS jammers to block fleet tracking and other GPS tracking devices, but is it a significant problem? In 2016 NBC News reports that according to a 2012 UK study known as the Sentinel Project, 20 roadside monitors found between 50 and 450 daily instances of jamming across the UK. 9 out of 10 of those jammers were employed by fleet drivers or truckers. A smaller 2014 study by Rohde & Schwarz discovered that every 3rd or 4th truck on a major highway near Portland International Airport in Oregon was broadcasting at the same frequency as GPS, meaning these trucks were potentially blocking GPS tracking. 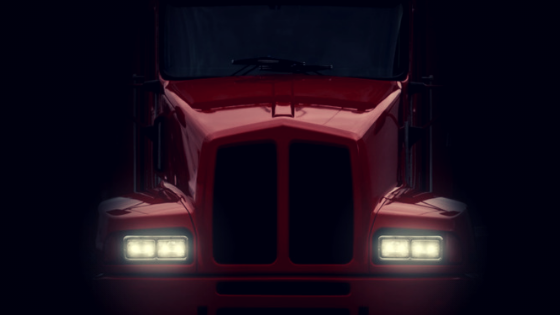 However, the US trucking association says they have found no evidence to show that large numbers of truck drivers are using GPS jammers, and the Sentinel project found that it was drivers of smaller vehicles like delivery and service vehicles, as well as taxis that were the primary type of employee to use GPS jammers, not truckers. That’s because most truck drivers are well aware of the regulations and penalties they can incur for using a jamming device to manipulate their driving logs or to hide from employers. How do I know an employee is using a GPS jammer? The good news is if you have one or more employees who try to use a GPS jammer to disrupt your fleet tracking system, you’ll know. While your drivers might think the illegal jammers make them invisible, what they do instead is attract more attention to their behavior. If an employee is using a GPS jammer to disrupt the GPS signal, it will appear on the live tracking map or trip history map as an interrupted or missing trip. Furthermore, if they plug their jammer in during just part of the trip, you’ll see a line from when the jamming started to when the device was turned off. Some later model GPS tracking devices even have GPS jamming detection. Plus you can also create an exception rule that looks for GPS signal faults and triggers an alert or email when GPS interference occurs. Once you detect an employee has disrupted GPS tracking, you can confront them. You also have a record of the GPS jamming for disciplinary action such as firing the offending employees for cause. While GPS jammers are illegal, the devices are inexpensive and easy to obtain, especially online. The FCC relies heavily on the public to report the devices, but many people don’t know they’re illegal. Studies aren’t conclusive on the number of drivers who use GPS jammers in an attempt to hide their whereabouts from employers. However, their use appears to be on the rise. While most users of GPS jammers probably aren’t using them to hide illegal activity, the reason the devices are illegal to buy, sell, or use comes down to public safety. GPS jammers interfere with communication systems, navigation systems, and tracking systems including emergency services and aviation. It’s interesting that workers who use them think they can fool their bosses. Instead, employers can easily monitor when and if an employee uses GPS jamming and keep a record of any incidences. If you’re worried your drivers might be tempted to use the devices, it’s important you monitor your reports and confront the employees you catch. You might also consider educating your drivers on the fact that GPS jammers don’t help them hide from GPS tracking and that the devices could result in not just the termination of their employment, but in fines and jail time due to violations of Federal Law. Ultimately, your drivers will learn that it’s just not worth it to use the devices.